Sky Ladder: The Art of Cai Guo-Qiang is a biographical documentary about contemporary artist Cai Guo-Qiang from Quanzhou, China. He has spent much of his artistic career working with fireworks and explosions—whether it’s using these explosives to mark canvases on which he illustrates certain images/controlling the explosive marks that generate imagery, or to create measured firework sequences on boats in bodies of water. Cai has made himself known with his craft, and the Chinese government even featured one of his firework pieces for the opening ceremony for the 2008 Beijing Olympic Games. One project that he’s pursued for roughly 21 years and hasn’t been able to complete, however, is his Sky Ladder work. Plagued by setbacks from weather, city codes and the 9/11 terror scare, Cai has dreamed of constructing a ladder illuminated by fireworks, distended high in the air by a hot-air balloon in the nighttime sky. Cai grew up with an intellectual father who practiced traditional Chinese calligraphy. Early in his life, Cai followed in his father’s footsteps as an artist. As he progressed, though, he sought a method by which to interrupt his practice—and he came by explosives, which Chinese medicine-makers invented nearly 1,000 years ago. As China left the Mao Zedong era behind, the ’80s ushered in a contemporary age for free thinking for Chinese artists, and Cai has since blossomed into a worldly seminal contemporary artist who has lived in Japan and New York City. In his growth as an artist, however, he reflects on his initial motives for becoming an artist in conjunction wit his family history. His grandmother nears 100 years of age, and Cai remains determined to execute Sky Ladder in her honor. He thus chooses to attempt it one more time, in Quanzhou. Sky Ladder pulled me in with its gorgeous cinematography that beautifully captures the color that Cai uses in his artwork. One scene records a sequence of explosions with bright-colored smoke that leaves solely biodegradable traces behind, following a conceptual narrative with “chapters” like “Elegy” and “Consolation.” I admire Cai’s imperative—amid China’s reputation for pervasive pollution—to use environmentally friendly materials for his work, and I’m glad that director Kevin Macdonald included this aspect of Cai’s art in this story. Cai expresses himself with utter sincerity—his smile as he develops his artwork speaks his passion, and his tears as he recounts when he helped his father burn his books during the Cultural Revoluation—his father’s “fortune,” as he called it. We root for Cai as he explicates his mindset and how it has changed over the years—not to mention his art, which thrives as challenging, spectacular contemporary art and which Macdonald represents well. Also interesting is that Cai toes the line of what society expects of him as an artist. He notes that his collaboration with the government for the Beijing 2008 fireworks show raised eyebrows in the art community because he, as a Chinese expatriate, had collaborated with this particular, oppressive government. He asserts that his aims were to change the system within the system and to posit an aesthetic phenomenon that parted from China’s usual, bombastic presentations with hordes of people. Ultimately, Sky Ladder: The Art of Cai Guo-Qiang represents its core, that Cai chases his dream of completing Sky Ladder. As a mature artist who is highly aware of his personal and cultural background, Cai’s project became important for me, and it will become important for you, too. 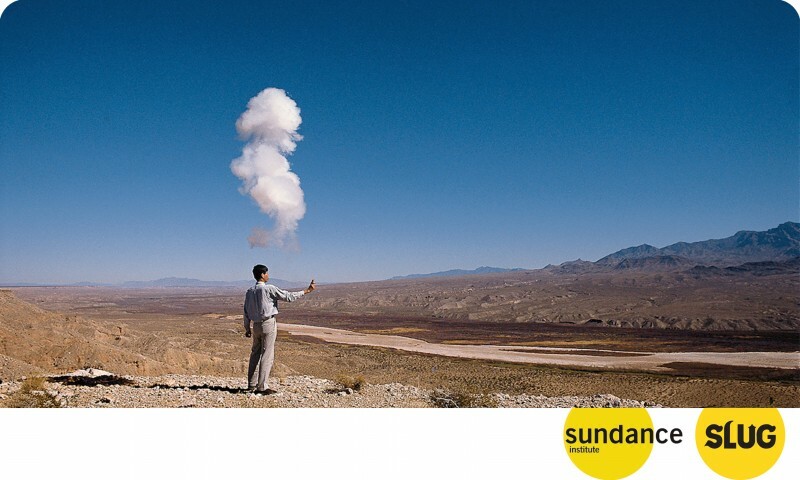 Sky Ladder: The Art of Cai Guo-Qiang is a must-see of Sundance 2016.